Growing up in land locked Calgary, I always loved being near the water, especially the ocean. When I got contacted by Jessica from Kismet & Clover about this fun wedding inspiration shoot, I jumped at the chance. Using lots of blue hues for the stationery, modern calligraphy for the words and gold ink for the oyster shells as place cards, the vision really did come to life. Here is what our photographer, Rianna, was aiming with this shoot. I wanted to do this kind of shoot because I have a huge love for the ocean and anything coastally inspired, my work, in general, is influenced just by the tones and colors of the Pacific Northwest and how I like to edit it. Talented Calgary wedding planner, Kismet & Clover, was able to pull all my small ideas and visions to create and style this shoot so elegantly. 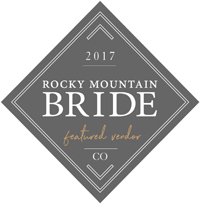 Our main focus was also to show that you can have a West Coast wedding without traveling all of the distance and have something stylishly influenced right here in the Rockies. This coastal inspired wedding shoot got featured in Rocky Mountain Bride.